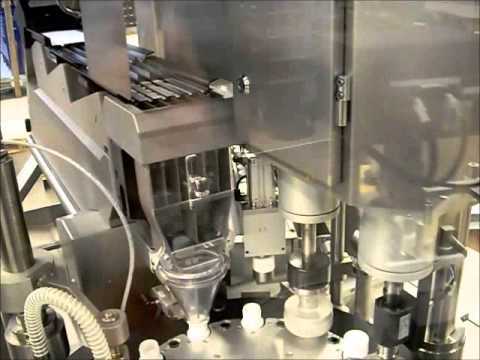 In the Pharmaceutical industry precision, reliability and speed are all key factors when we talk about machinery. In our tablet counting lines we integrated the Cremer tablet counter module that can guarantee an extraordinary 100% count accuracy. Optionally, this machine can be fitted with our Broken Tablet Inspection System and Vacuum Tablet Transfer system. This tablet counter is able to accomodate tablets/capsules and bottles with different size and shape. 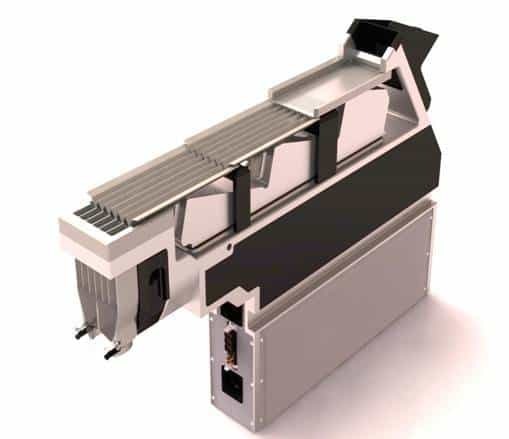 The tablet counter contains a single main frame with a variable number of counting modules enabling higher speed rate. 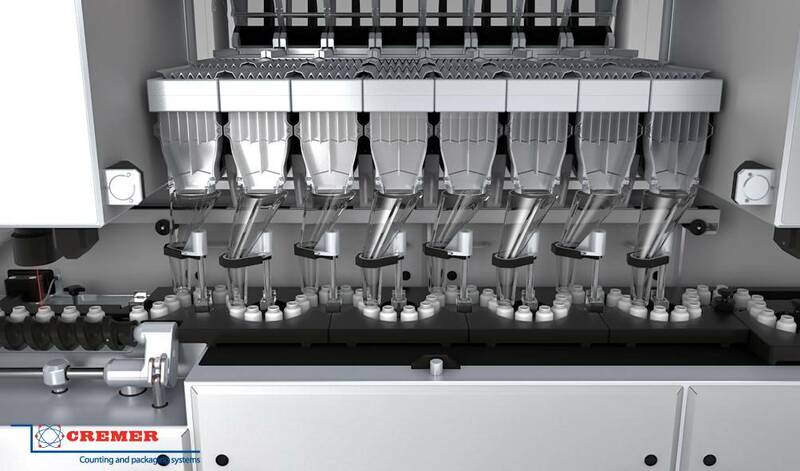 There are 4 different frame designs which support up to 4, 6, 8 or 10 modules which enable the speed to go up to 240 bottles per minute. The servo controlled tablet / capsule channels enable easy control over the whole system through the HMI. 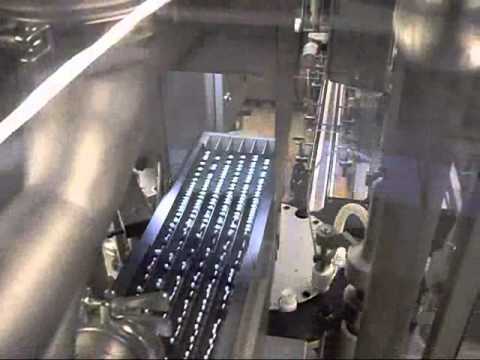 Uniquely we offer a Mono-block tablet counting line that includes bottle cleaning using air, counting station with integrated broken tablet inspection, checkweighing, capping, sealing and optionally re-torquing. Uniquely on the market we are able to offer an integrated labelling station for round bottles. All this at the speed of 50 bottles per minute with a footprint of less than 4 squaremetres which makes this machine extremely space and cost efficient. Automatic reject and sampling on the fly.